Our Professional Freediving Training Package is is all business - whether you are a competitive freediver or you just freedive to challenge yourself, you'll find the Y45 Freedive wetsuit an amazing piece of gear that helps you reach your goals. Y45 Open Cell neoprene is used by more World Champion Freedivers and Freedive Instructors than any other neoprene in the world, and by combining the Y45 with our Mega Stretch outer layer and valuable input from accomplished freedivers, this freedive suit is the best of the best! So suit up and contact one of our recommended trainers, or head over to any highly regarded AIDA, FII or PFI freedive training class, you can't go wrong. Looking for a Professional Freediving Training package with a different feature set? Need fins? Got 'em. Low Volume Dive Mask? Got 'em. Dive Lights to clip onto your Mask? Got you covered there too, just call us (540) 361-1570 or email us at info@makospearguns.com and we'll customize a package specifically for you with special savings! Choose 3mm Black Y45, or 5mm Black Y45 mens wetsuits. Our Yamamoto Y45 2 piece Open Cell wetsuits are built using #45 Yamamoto neoprene - the most preferred open cell neoprene by the top freedivers in the world. 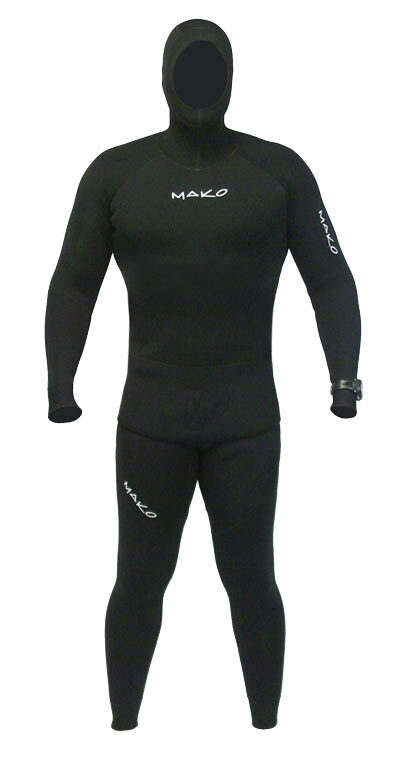 We've even spec'd these wetsuits without knee pads of a chest loading pad to minimize drag. Our AIDA approved Freedive Lanyards are specifically designed for line diving. Each lanyard includes a completely hermetically sealed steel cable that is molded inside a super abrasion resistant outer jacket for unmatched strength and redundancy. 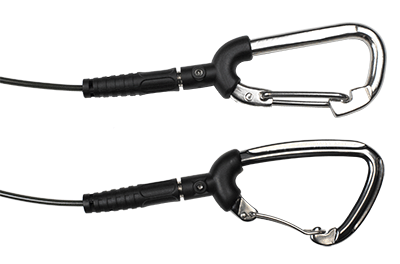 We even designed in 360 degree pivoting swivels at each end of the cable for safe and tangle free operation. Choose between the stainless steel carabiner (recommended for constant weight diving), or the aluminum carabiner, having a slower descent rate (recommended for no fins and free immersion). this is my first open cell suit, i used to have a standard 3/2 surfing one...and am never going back. its way warmer, way stretcher and floater...its just completely different experience!